What do you think Bob Brown, Olivia Newton-John and David Holmgren have in common? All have beautiful singing voice? Maybe. Written some very important books? Possible. 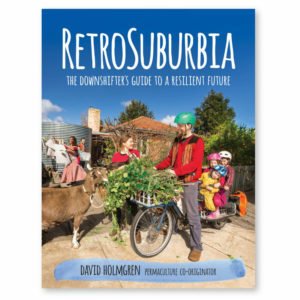 David Holmgren was awarded the 2014 Green Lifestyle Award for his pioneering and ongoing work with Permaculture since he co-founded the concept more than three decades ago. David is now the third person to be inducted to the Green Lifestyle Awards Hall of Fame thus putting him in the good company of Bob Brown, the inaugural inductee in 2012 and Olivia Newton-John last year. Congratulations David, and what a trio of great Australians! David was one of more than sixty people and organisations recognised in this year’s annual award on Thursday 16th October in Sydney. The award was hosted by Green Lifestyle magazine. Each year the panel of six eminent judges chooses people, companies and communities, and give recognition for their efforts in creating a more sustainable lifestyle. The categories range from food, fashion, beauty, garden, home, kids, wellbeing, travel, transport, and people, to online and business. Holmgren was awarded in the Hall of Fame section of the people category. There are some familiar faces among those honoured including the Diggers Club and Rhonda Hetzel. David was not there to accept the honour and join the fellow award winners for the reasons based on Permaculture principles. This is explained in his essay on the subject, Why I have not been flying (much). Instead he sent a video message of acceptance in which he stressed the need to recognise the importance of individual behavioural change. I think this is something which is still slow to be recognised by the politicos, by the big people, that the way we change ourselves from being irresponsible consumers to responsible producers is an important shift that’s very necessary. In a world of exuberant use of energy, Permaculture looks like a marginal movement. 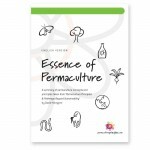 But in a world of energy descent, the Permaculture approach becomes central, because it offers a way of decolonising our imagination and a new way of organising our frameworks of thought and creative strategies, even a new paradigm which resets our cultural references (English translation by Eugene Moreau). If he is right, the fact that Permaculture has started to be recognised in the wider society may mean that the energy descent is really kicking in, and in response, a new paradigm may be emerging. Last year David was also awarded the prestigeous Il Monito del Giardino (The Warning from the Garden) by the Fondazione Parchi Monumentali Bardini e Peyron (Bardini and Peyron Monumental Parks Foundation) of Florence. Here’s David’s few words of acceptance (thanks Mia Dyson). The psychology and effect of giving people awards is something to be very wary of. All too often it has the effect of silencing the recipients.